While technology should play an important part in security, it should be noted that there are no known instances of a terrorist being caught using any form of detection technology. This is because current security measures are extremely predictable. 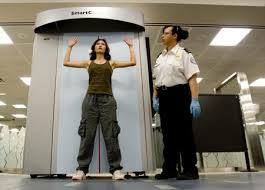 All airports throughout the world now use X-ray machines and metal detectors while the use of more advanced technologies such as bodyscanners and explosive trace detectors are used very rarely. The security measures therefore rely heavily on the ability of x-ray screeners to identify concealed IEDs, weapons and their components that, without the highest level of training, are extremely difficult to detect. Added to this is the fact that security companies are under pressure to get passengers through security checks and into duty free shops as quickly as possible means that screeners are not being given the required time to provide an informed decision on each bag. Screening all passengers and their luggage in exactly the same way, using the same technologies and as quickly as possible seems extremely inefficient given the fact that 99.9% of passengers are not terrorists. For example, if the current security measures were applied to a doctor’s surgery, the doctor would take an x-ray of each patient, no matter what their complaint was, look at it for 6 seconds and provide a diagnosis. Fortunately, doctors do not treat patients this way, and instead ask a few questions before deciding whether further tests are needed on the patient or whether they can be diagnosed straight away. Predictive profiling uses the same principle. It teaches us to identify suspicion indicators relating to possible AMO before deciding whether or not further tests or questioning must be carried out in order to refute them. In essence, predictive profiling helps us identify the bomber, and then the bomb.